This is a lively café opened in every evening where it feels pleasant to meet friends for a cup of tea/coffee or to read newspaper in a “Frenchy” atmosphere. The quality background music, the experienced staff, and the spectacular surrounding make it a nice place to hang out. 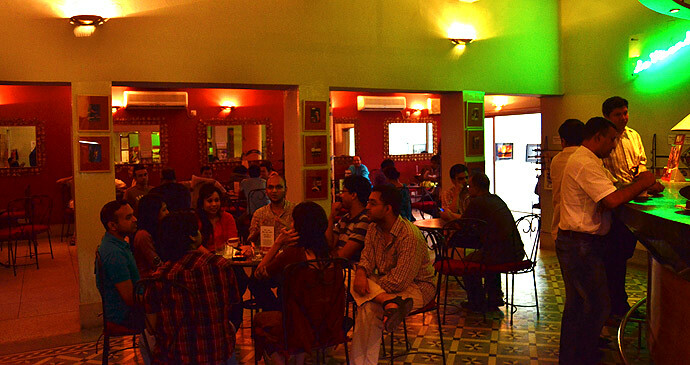 Exhibitions or live events are also held in Café la Véranda.